Ever wonder what the difference between a college and a university is? While there are certainly differences, it’s important to first note that Americans use the terms interchangeably. We say we “go to college” even if our school is called a university. Just like squares are always rectangles but rectangles aren’t always squares, a university is college but a college isn’t always a university. Why? For starters, a university is usually larger. A university is a group of colleges or schools, such as the College of Engineering or the School of Journalism. These aren’t actual independent colleges but more like really large departments. Colleges may also be broken down by schools or departments, but they might be smaller and fewer than what universities have. Universities are broken up into colleges/schools for different academic areas (business, education, liberal arts). For instance, the University of Illinois and Arizona State University. 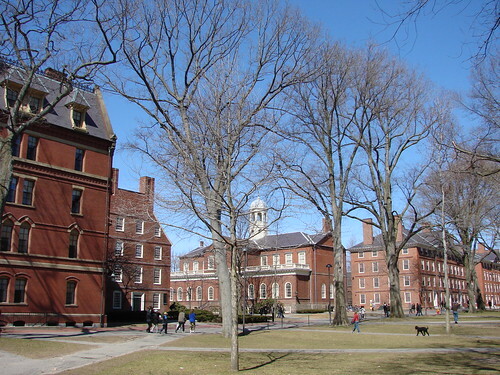 Colleges, generally smaller, may also have “schools” for different academic areas and can exist on their own, such as Boston College and Dartmouth College. Sometimes a university offers graduate study (with “schools” of law, medicine, business, etc) and has a “college” for undergraduate study. For example, you can get an MBA at Harvard University‘s business school but if you apply as a freshman, you apply to Harvard College.